Residues of plant protection products (PPPs) are inevitably present in or on food, even when they are applied in line with good agricultural practice. 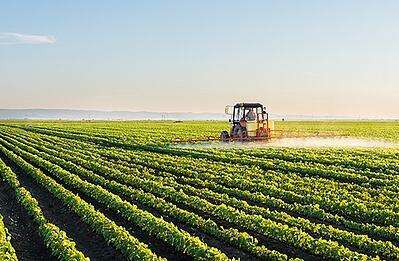 The upper limit of residue permitted on food or feed is the ‘maximum residue level’ (MRL), which, in Europe, is legislated by the European Commission based on scientific advice from the European Food Safety Authority. MRLs are measured via crop residue field trials, which replicate the real-life agricultural conditions under which a plant protection product would be used. It sounds a simple enough procedure, but what studies are commonly used and what are the secrets to success? These trials are used to both support initial registration of the plant protection product substance and re-register the substance; For example, the range of crops it is to be used on is extended, such as when the registration of a pesticide licensed for use on apples is extended for use on other fruit crops like peaches. For more information about Envigo’s Residue Analytical Services Envigo Residue Analysis Services. Looking to uncover the latest market developments in the Crop Protection Industry? Read more by downloading our insightful white paper. Javier Bartolomé, has a degree in Agronomy and joined Envigo as a Field Principal Investigator in 1999. He is now manager of the field facility in Valencia which has held GLP compliance for over ten years, and is also Team Leader to the rest of the Study Directors. Javier has been involved in the design of the study plans and field activities for all study types in the Envigo portfolio. How does farming weeds answer questions about pesticide risk? "Check out this blog article"